I wanted to review two books which have recently made up part of my somewhat extensive pregnancy and childbirth library. Because both books set out with a similar philosophy, and are more often than not recommended together, I thought I'd write a post to compare the two, based on their similarities but also their vast differences. Both Bumpology and Expecting Better aim to look at popular advice regarding pregnancy, birth, and babies, and to separate fact from fiction by digging out relevant evidence. This is what I'm all about, so I was excited to get my hands on both books. 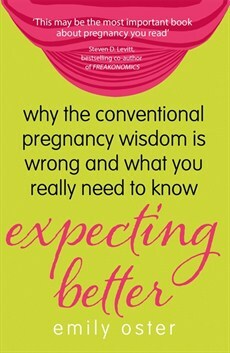 Emily Oster's book, Expecting Better, goes with the slogan "why the conventional pregnancy wisdom is wrong and what you really need to know" whilst Linda Geddes' Bumpology goes with the gentler "the myth-busting pregnancy book for curious parents-to-be". But reading their blurbs you'd be reasonable in assuming that both authors set out with a similar aim. The books do however vary considerably, and whilst I'd confidently recommend both, it's worth considering their differences. Emily Oster is a leading economist, as the back of the book states: "When Oster was expecting her first child, she felt powerless to make the right decisions about her pregnancy, so she drew on her own experience and went in search of the facts - by using an economists tools." Linda Geddes meanwhile is a journalist, and the back of her book states "From the moment she discovers she's pregnant, every woman becomes obsessed with the life that's developing insider her. Linda Geddes was no different, except that as a journalist writing for New Scientist , she had access to the most up-to-date scientific research." The differences in the two writer's approaches to the evidence available to them is what sets these two books apart, for me. As an economist, Emily Oster is ruthless, she dismisses any study which presents unreliable or questionable data (and always explains why she's decided to dismiss it) and only refers to studies which she believes provide the most trustworthy results (and again, explains why they succeed in providing solid evidence). She is concerned with statistics, and writes off anything that concludes "there might be a relationship between X and Z". On the other hand, as a journalist, Linda Geddes seems more concerned with what is interesting, rather than what can be clearly proven, and therefore there is a lot of "this study found that there's a possibility that X might lead to Y in some cases", which left me feeling all the more confused at times! As well as taking a far more fact-focused approach, Expecting Better also focusses on maternal behavior and decision making during pregnancy and birth - and the expected outcomes of those decisions. It opens with a chapter entitled The Vices: Caffeine, Alcohol and Tobacco and works it's way through the many options open to pregnant women, including The Surprising Perils of Gardening, Working Out and Resting Up, Labour Induction, and Home Birth: Progressive or Regressive? and considers all relevant research on each topic. 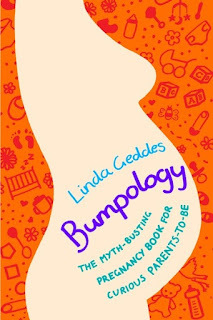 Bumpology, meanwhile, goes a lot further, looking at Bump, Birth and Babies. This reminds me more of the "Everything You Wanted To Know About...." series that I enjoyed as a child. It opens with Why do pregnant women crave unhealthy food? and as well as looking at the sort of content that Expecting Better considers, such as How much alcohol is safe to drink during pregnancy? and How dangerous is it to eat Camembert and blue cheese? it also attempts to answer some more fun questions, such as Why don't pregnant women topple over? Do men change when they become Dads? What's the biggest baby that's ever been born? and Why can't I poo? As I mentioned, this book also discusses babies in their first year, which Expecting Better avoids, answering questions such as When do babies start learning language? and Why does baby poo smell like mustard? I did notice that Geddes was far less confident to go against conventional medical advice than Oster. 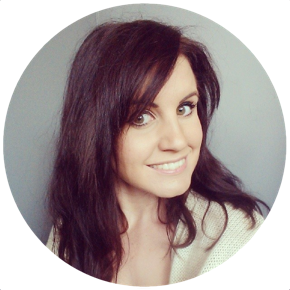 If you feel uncomfortable deviating from NHS guidelines then you'll probably find the advice in Expecting Better doesn't sit right with you. Despite Oster's approach being far more rigorous in only using the very best scientific evidence, having worked her way through all available studies and disregarding the rubbish (even pointing out where authorities such as the NHS actually get their information, and why some of their sources are heavily flawed) - many people will feel uncomfortable adopting her "out there" findings. Geddes on the other hand tends to echo whatever guidelines are in place in the UK and/or USA, if there are particularly strong studies that suggest these guidelines may actually be inaccurate, her summary tends to be "I guess we'll never know" - which isn't particularly satisfying for a reader who picked up a book that claims to "bust myths". To use alcohol as an example, Oster presents some fascinating research on alcohol consumption during pregnancy, supporting it with graphs, diagrams, and extensive findings from huge, international studies. She also identifies the most common problems in studying the effects of alcohol consumption on unborn babies, and uses that to disqualify hundreds of the studies that she has reviewed as unreliable. She includes a lot of the research relied upon by the Western world in this dismissal and presents to her readers a small number of studies whose findings can actually be relied upon. Her findings are surprising. Geddes on the other hand dedicates fewer pages to this topic, and goes in to far less detail about how she went about reviewing the appropriate research (perhaps because her background as a journalist would simply encourage her to find as much information as possible and report it, where Oster's background as an economist would be to weigh up the strength of each study and present facts and figures) - you don't get much of an answer from Geddes, other than a "it's up to you to decide what feels right" - which I believe is true... but again, no myth has been busted! Having read both books, I certainly feel more informed having read Expecting Better - you get a real sense of the amount of work that Emily Oster put in to working her way through the mountains and mountains of medical journals out there to find the very best sources of accurate information. I do however feel more entertained for reading Bumpology, but no closer to uncovering the answers to some of my more pertinent questions. If you're serious about approaching pregnancy and birth your way, and want to question the popular advice that you're being given (let's bear in mind, for example, that the NHS have only just in 2015 passed recommendations for delayed cord clamping, despite the concrete evidence being available to them for decades) then read Oster. If you just want to read a book that presents all of the relatively most up to date guidelines on pregnancy in one volume, plus a few fun facts about poo, but don't want to question the wisdom of the poster in the antenatal waiting room, then read Geddes. Or if, like me, you'll read pretty much anything on this topic out of hungry curiosity, then by all means, read both!